Players view them positively, almost as free money, and part of a process that makes games more enjoyable to play. Given the increasing sophistication of analytics tools and mediation technology, plus the fact rewarded video ads can be effectively combined with an IAP-based in-game economy, mobile game developers have been quick to adopt the ad format. This decision would be meaningless if players didn’t choose to view them however, so it could be argued the prime driver of the incredible rise of rewarded video ads has been the incredible enthusiasm of players to consume such advertising. Even as far back as 2015, user surveys showed an overwhelming preference among mobile gamers for rewarded video ads. 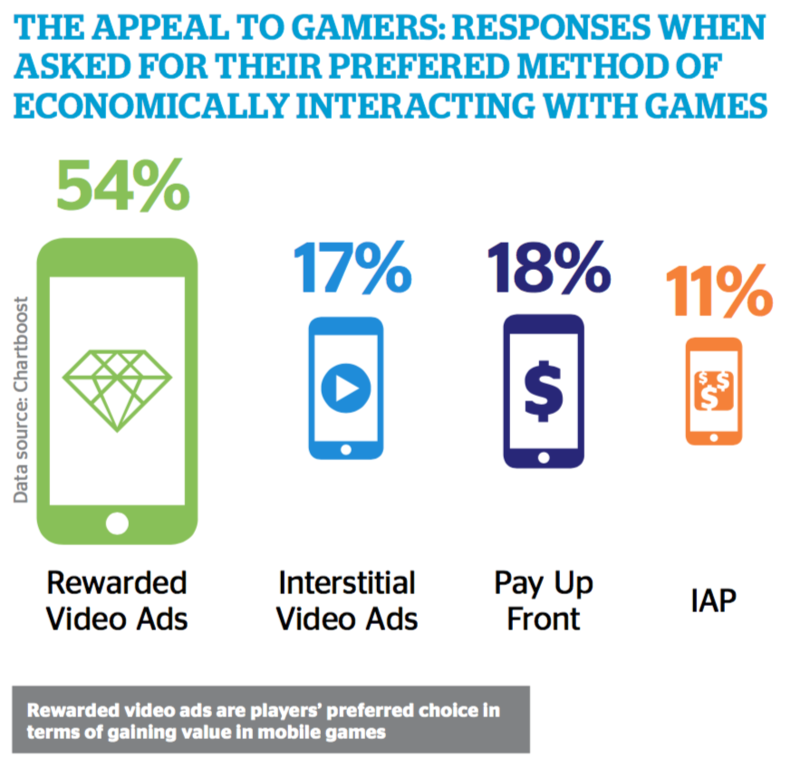 When asked for their prefered method of economically interacting with games, 54 percent choose rewarded video ads, compared to less than 20 percent for all other methods. More recent studies show this trend continuing, especially if the choice is a binary one between rewarded and non-rewarded ad formats. Many developers say the only complaints arising from the introduction of rewarded video ads into their games is players saying they want to watch more videos to gain more in-game rewards. Indeed, in games that disable ads if a players buy an IAP, it’s common for developers to be asked by players to reintroduce rewarded video ads. And it’s this sort of response which highlights how valuable rewarded video ads are. Players view them positively, almost as free money, and part of a process that makes games more enjoyable to play. It is important to recognise it’s not just the ‘financial’ reward provided that makes rewarded video ad so popular amongst players. More important is they give players control over if and when they want to watch a video. Even if rewarded video ads are well integrated into the flow of a game, there will be times when a player just wants to continue on with their experience, not waste time – as little as 15 seconds – watching an ad. Because rewarded video ads are opt-in, players have this control. Equally, there is simplicity in the value exchange. Players understand they are swapping a short period of time for an in-game reward. 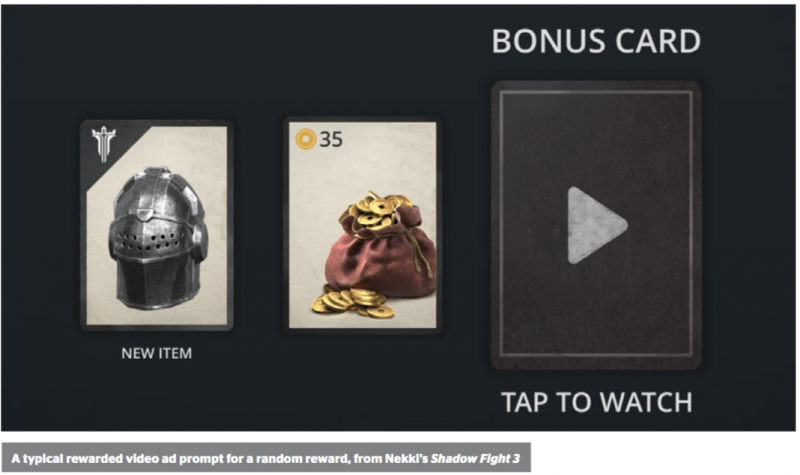 Interestingly, this reward can be explicitly stated before the ads is viewed or, more often, can merely provide an opportunity to win a random item that is only revealed post-ad. 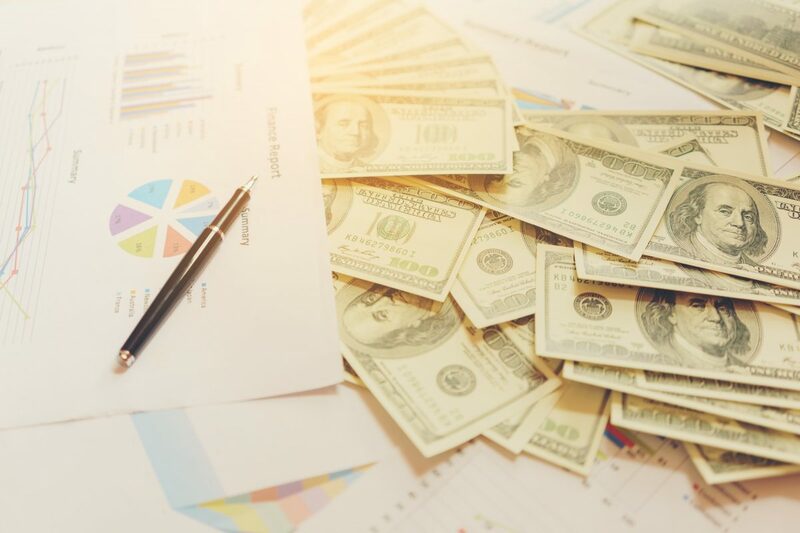 As with the psychology of lotteries, the latter case typically feels more valuable, even if there’s a high chance than the revealed random item is actually of low value. Indeed, such is their perceived value, research has shown there’s only a marginal decline in someone watching a rewarded video ad right through to the end if the video length is doubled from 15 to 30 seconds.